Even though not many people still write Christmas cards nowadays I still like to make my own cards sometimes to put together with a present. These cards were super simple to make. 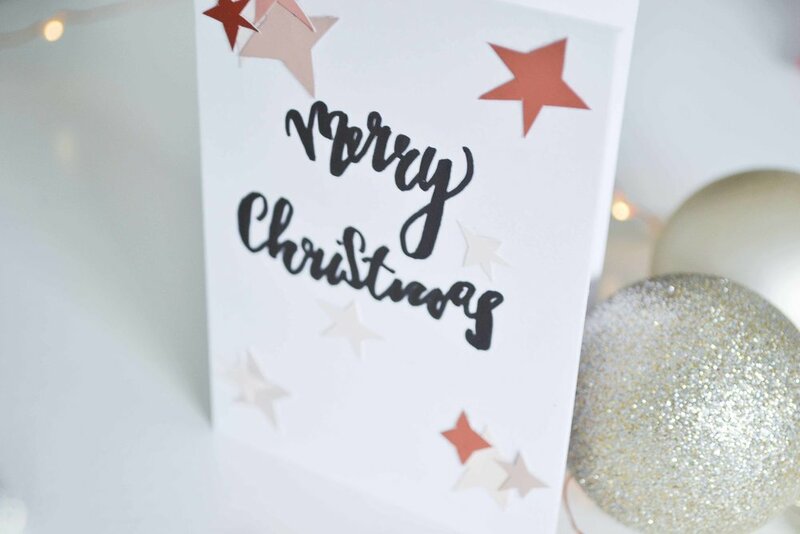 I used some old paint sample cards (or you can just use coloured paper) to cut out stars and Christmas trees. 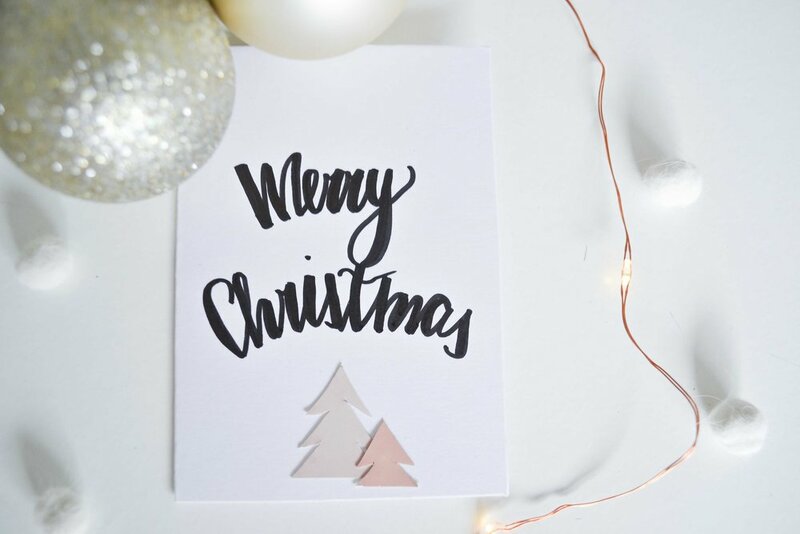 Once you have them cut out use little cards to write on your Christmas greeting (I used the faux calligraphy method). 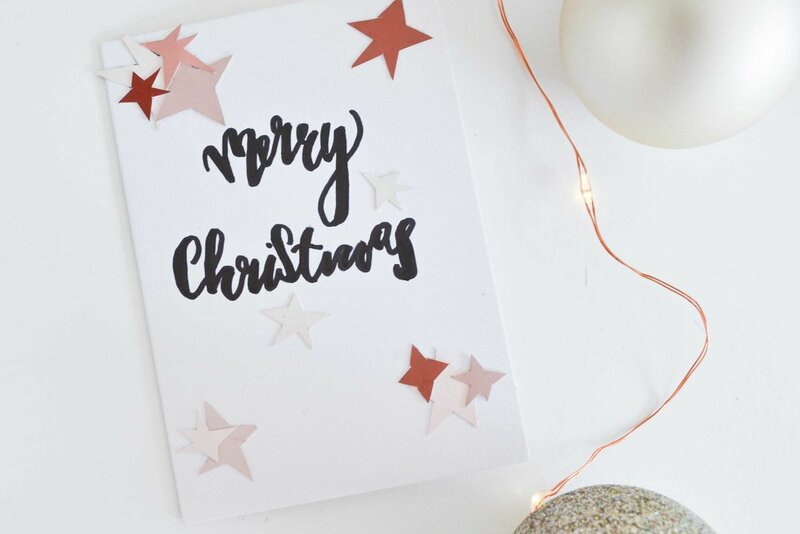 Decorate the card with your cut out stars or trees and you are done.